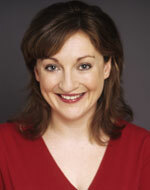 Ailish Tynan trained at Trinity College, the Royal Irish Academy of Music, and the Guildhall School of Music and Drama. She was a Vilar Young Artist at the Royal Opera House, Covent Garden and a BBC New Generation Artist. Representing Ireland, Ailish won the Rosenblatt Recital Prize at the 2003 BBC Cardiff Singer of the World Competition. Her opera engagements include Marzelline (Fidelio) under Antonio Pappano and Gretel (Hänsel und Gretel) at the Royal Opera House, Tigrane (Radamisto) at the English National Opera, Papagena (Die Zauberflöte) at La Scala, and Héro (Béatrice et Bénédict) for Houston Grand Opera, Opéra Comique and Les Théâtres de la Ville de Luxembourg; other highlights include Sophie (Der Rosenkavalier), Nanetta (Falstaff) and Atalanta (Xerses) for Royal Swedish Opera, Miss Wordsworth (Albert Herring) for Opéra Comique and Opéra de Rouen, and Vixen (The Cunning Little Vixen) for Grange Park Opera. A prolific concert and recording artist, Ailish works frequently with British and international orchestras, including perfoming on the opening night of the BBC Proms with the BBC Symphony Orchestra under Jirí Belohlávek. She also gives recitals extensively including at Wigmore Hall and at the Edinburgh, City of London, Cheltenham and West Cork Music Festivals. Ailish has recorded widely, from Gluck arias to Irish songs; for Hyperion she has recorded Poulenc songs with Graham Johnson.